With the ever-growing competition, dynamic regulations and large investments in the healthcare industry, there is high demand for quality in this sector. This has elevated the need for extensive medical software testing. Advanced healthcare necessities involving the latest software and patient groups must help everyone, including physicians and nurses. Quality, therefore, is not only a matter of company reputation but someone’s life as well. The healthcare industry is working towards enhancing software solutions and services to boost their business success and also improve the health of people. Think of a business - one with wholesome earnings - as a long list of loyal customers, a great process design, and a great line of products. Now think of a software engineer who wants to automate processes of that business; imagine how critically the engineer will have to evaluate the test automation codes – what kind of user stories and scenarios do you think will be created? Because whatever that organization does will be recorded, tested and executed within these lines of stories, scripts, interfaces and test executions. Same goes for the developers who will code, and the business analysts who will implement. Do you understand the point? Can you feel the pressure on business analysts and the testers for building the right app? A good software is an apt representation of what any business is doing manually – and that is the whole essence of this industry. The conversion of systems result in the best and worst software solutions we come across every day. This is what testers assess and assure so that we shed the burden with the developers and at the end, the client enjoys a secure, bug-free app – just like they used to when things were not implemented on technology. Medical software – what matters? The main channels for app sales have democratized the tech industry, providing opportunities for independent app development companies to enter the market easily. Moreover, according to FDA, the estimated number of medical app users all over the world will be more than 1.7 billion in 2018. This creates a significant opportunity for a wide range of businesses to enter the medical devices industry via the creation of new mobile apps like brain test. Keeping in mind the above analogy, we now understand the essentiality linked with software applications coming at par with the existing system, making sure the users become efficient and the changes they face don’t complicate things for them. Within the past decade, the healthcare system has developed itself into an important domain. Apps and other software had a huge role to play, providing information and various services to visitors, including market segments such as doctors, clinics, hospitals and even academia. Your browser must support XML HTTP request object to ensure smooth surfing experience for the user. CSS support is also very essential as it will determine your page appearance and layout. It will also decide what page elements need to be displayed and at what time. Furthermore, you should make sure your browser supports the apps. In case there are issues with the browser, your app’s performance would also get affected. When visiting a healthcare website or app, it is important to understand that in most cases we are accessing a domain that provides medical advice, or answers to questions regarding our own health. This is the area testers are required to test, so one can easily relate to the sensitivity and importance of the information - the data that is entered, processed and projected using the apps within the medical realm. It is not necessary that the users of the app are trained professionals, so the client experience while developing and testing a medical app is another key determinant for better functionality. For instance, the dual mode solution allows patients to seek their desired doctors on the basis of their locations and other specialties by creating a bridge between the patients and doctors. Once the patient finds the doctor, the system lets them connect via several options such as Skype, live chat, phone, email and social media. On the basis of this doctor-patient relationship, the app can track the record and act smartly by providing the physicians or any other authorized person with information regarding treatment options etc. Availability is another important consideration in testing a medical software. If a site, for example, is not tested under the performance criteria, the results will represent the same effects on patients as a closed clinic or emergency room with no doctors available. In the United States, the healthcare dot org failed on load and performance issues, not being available for millions of patients throughout the country, resulting in a serious critical situation. If the product is being funded by a healthcare provider and not being bought directly by the consumer, make sure you have an outset reimbursement strategy. Reimbursement is usually the primary driver of a company’s profitability. Even if you’re using an automation testing software, don’t wait until the product is launched and then expect it to be bought because you have regulatory approval for sale. You will need to work closely with regulators to determine the indications for use. 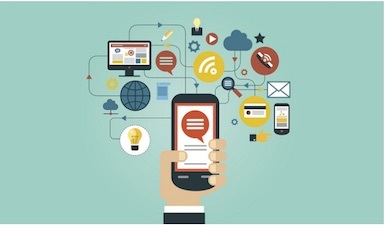 Along with testing, consider conducting clinical studies that show your app is effective, i.e. delivers medical benefit and reduces occurrences of costly hospitalizations. Every tech industry must focus on the security and privacy of patient information. For instance, in the US, the Health Insurance Portability and Accountability of Act (HIPAA) requires that you deny any access to “Protected Health Information”. This includes the patient’s name, address and all the information related to the patient’s health and financial records. To comply with the HIPAA guidelines, it’s crucial to implement basic testing measures to secure developing apps; from data encryption and use of firewalls to antivirus software and digital signatures. When it comes to medical apps, not testing the functionality before the release of the software can have serious implications. Whether you opt for manual testing or test automation tools, it is important that you test all medical software for the functionalities mentioned above for reliable results.